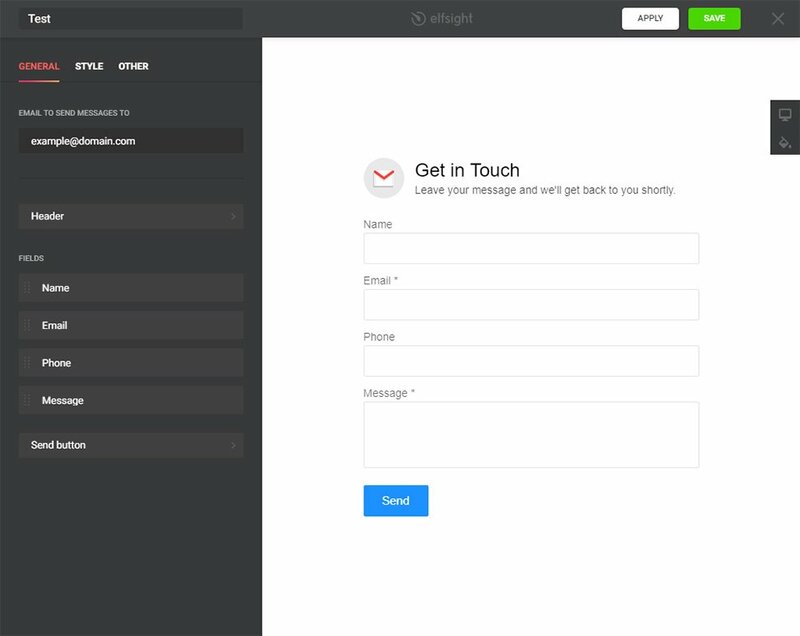 Elfsight Contact Form – is an extremely simple in fine-tuning and developing tool allowing to create response form and all other multiple forms to submit a message to email address without skills in programming. BONUS: Test your contact form right here! 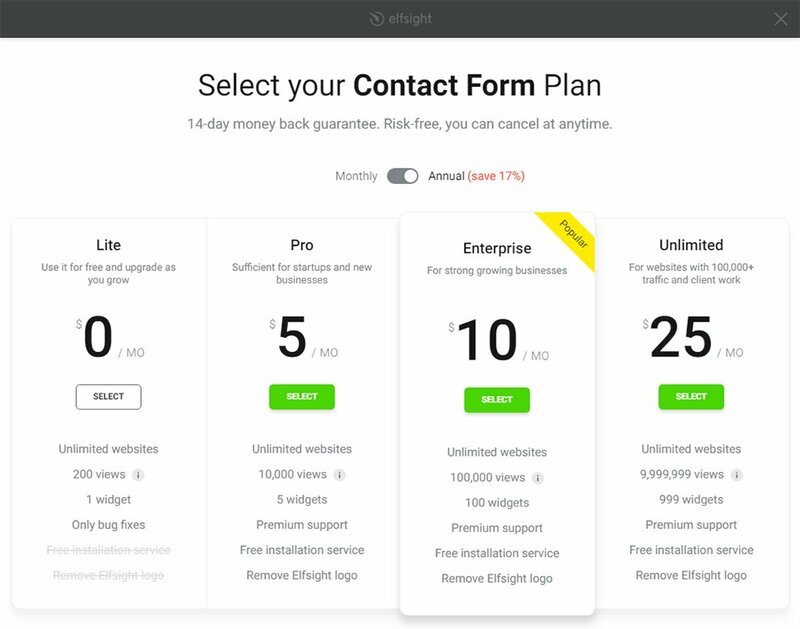 Elfsight Apps Contact Form is a simple and highly flexible widget, which helps you to create any kind of contact form. 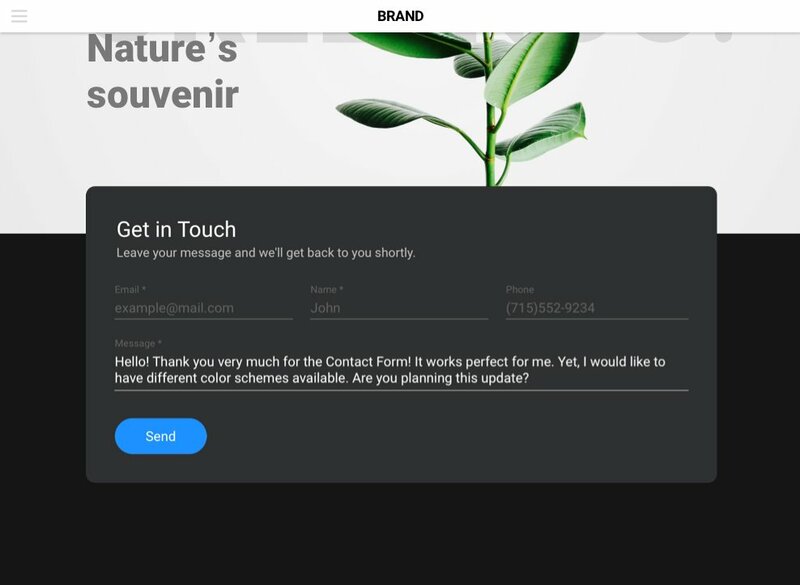 If you are looking for a convenient tool, which will increase client responses and improve your conversion rate – our widget is the one for you! Stay connected to customers 24/7, receiving messages on your email and increase leads for your business! Setting up our widget is extremely simple and intuitive; it will take only three minutes. Follow all steps listed below to install a widget. Follow this link (Live Editor) to create a plugin. 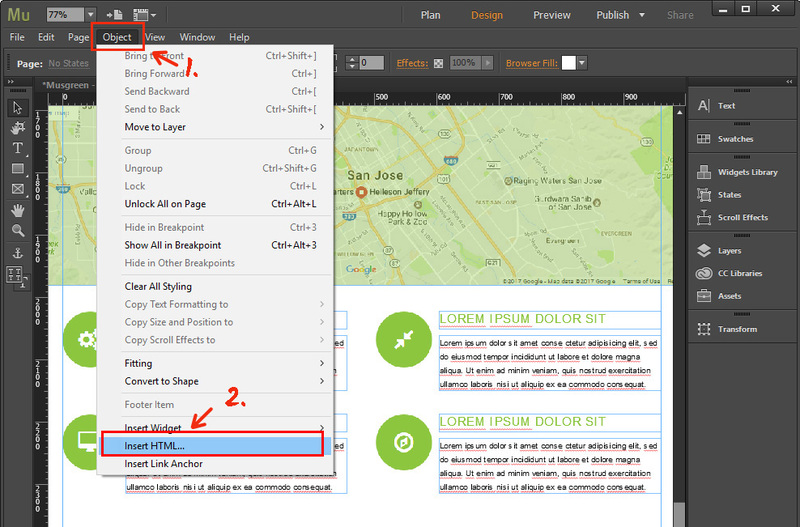 Pick the pattern and output settings to set up the plugin that will blend with your website. Or find out more on product page. After your plugin is set up, define your subscription plan. We have free and payable plans to suit any needs. The resulting phase in installing Elfsight plugin is to get the app shortcode. Enter Muse and go to «Plan» page. Choose the website, where you will install the plugin. Add «Insert HTML» element from «Object» tab to the required place. 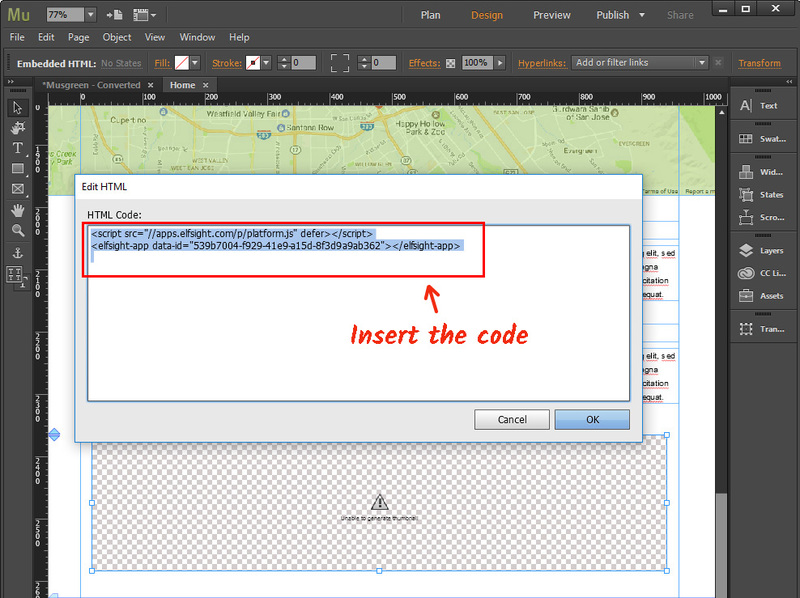 In the appeared window, insert the code you received at Elfsight Apps and set the size of the form unit. 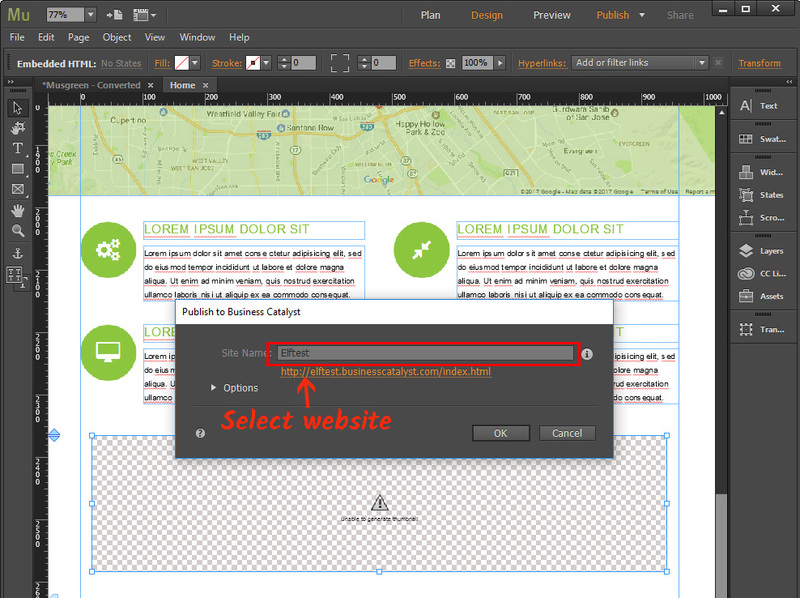 Apply the changes by pressing «Publish» button in the upper menu and choosing the right website. Ready! You have successfully installed the plugin! Visit the website to check the work of the form. Following the adding of the widget, you should set all the editing of the form on Elfsight apps. Correcting field description, changing the look or mode of displaying and all other changes, fulfilled in the widget editor, will be automatically applied on site. In addition, in your personal Elfsight profile you have a chance to try other Muse widgets and setup them on your resource for free. Test your personal contact form right here! Free editor for fast widget creating.